Had an intense dressage lesson last night. A semi-private, and man, we worked it. It started off pretty simple, picking up where we left it last week with the deep inner bend & forward. 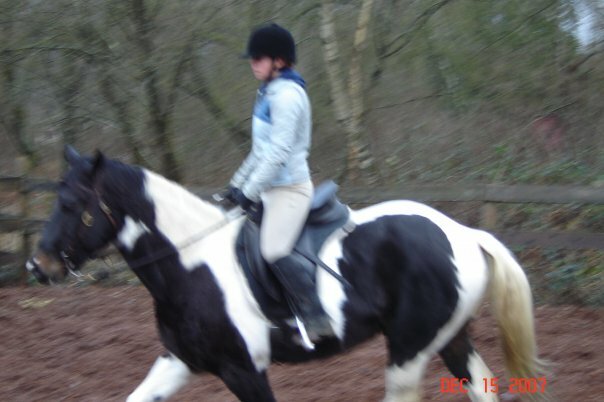 And then it moved to deep inner bend & collected/short but very forward trot (sitting), and then a ‘5’ trot sitting, and then a ‘6’ trot sitting, and circling at all 4 corners of the arena, and then 4-5 strides of canter in each circle, all while maintaining a good ‘sit’ and forward. It was a big lesson- exhausting and very thorough. I was really pleased with Oats. His try was 100% last night, and I was very impressed with how he was handling the exercises. Of course, he’s never perfect but man, he has been going really nicely lately and trust me I am not taking it for granted! 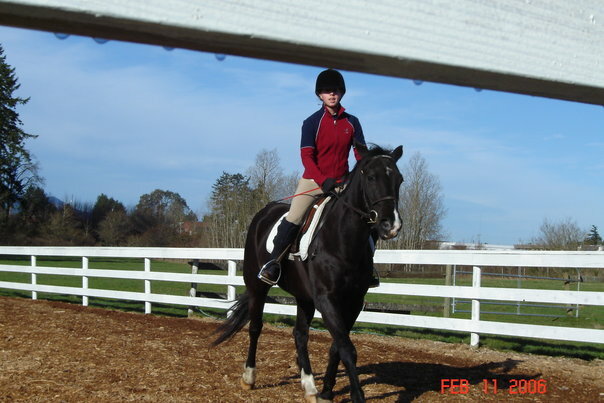 I was thinking about how hard and boring dressage is to describe to people. It’s like trying to describe your dreams- either they don’t care, or they don’t understand. He was like this sweaty…Except he is now clipped. Phew!! He was very sweaty when we finished, and I was admiring his neck muscles. He looks like a different horse now, from when I first bought him, to even last year when we had finished up our 1 year of dressage training. Look at what our 2nd year has brought us! I love it! All the tears, frustration, anger and pissyness on Oats’ end have been really paying off. Naturally, I am not dumb enough to think that we’re on the smooth path to success now- hah, with horses? Nope, not realistic. BUT, I’m seeing/feeling some really awesome things. I even let myself do a little day-dreaming about how nice that ride felt, very powerful, when I walked to work this morning. Oats being Oats, he also had to do something to make me really annoyed after my ride…I was raking down the arena- it has terrible deep spots now where the clay is coming up from the ground! And he rolled with my saddle on! GAH! Yeah, guess he was that sweaty and it felt sooooo good…argh. Oats update~ Did a jumping lesson yesterday and it was a short one (did a warm up on my own and we went straight into jumping) and miracle of miracles, we had some of the best gridwork to date! It was funny, because I was NOT expecting greatness. I was complaining to one of the lesson kids about how I hate gymnastics, the trot-in part is so awkward, and Oats tends to die out really easily…It’s just so blah. 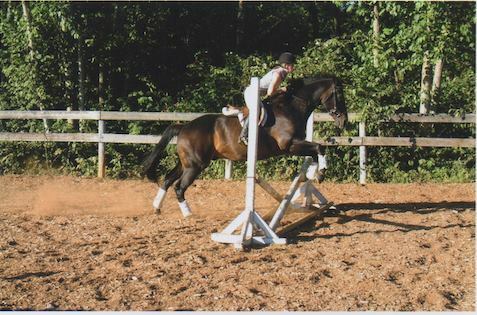 We did a small x-rail one-stride to a large x-rail as the gymnastic part, and then a vertical on the diagonal, to a two-stride, to a small oxer on the rail, back to the vertical on the diagonal. 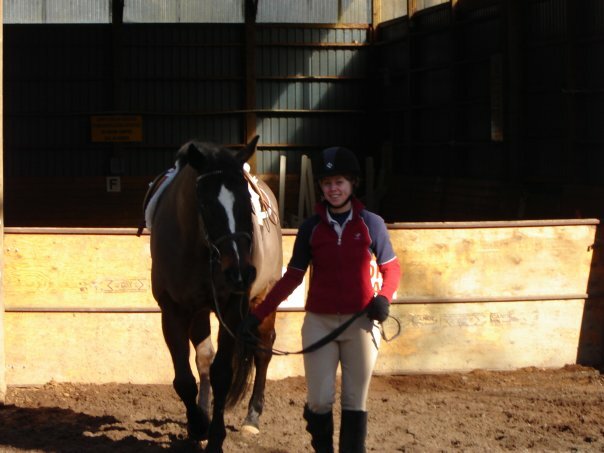 I was feeling pretty good with myself and Oats when we started the gymnastic- so smooth, and my position felt great! I felt like a hunter princess, hahah. We then worked over the raised x-rail and for some funny reason, even though it got bigger and bigger, it just never looked, ‘that impressive’ you know? 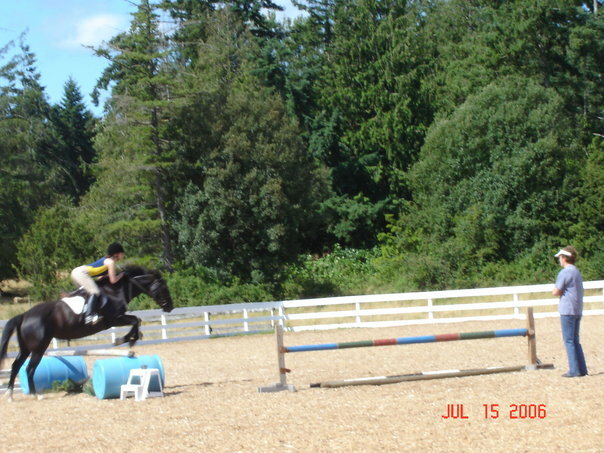 It just felt like, eh, another x-rail- even though the middle of it was probably the same height as an oxer combination that was like giving me heart palpitations a few weeks ago!? We kind of bungled the two-stride (ran out of impulsion, a chip) still like, made the strides but it wasn’t as pretty- but all the other jumps were NICE! And then we gathered up some steam and WENT at the two-stride and that one went fantastic! It’s lessons like this that make me feel like Oats and I are working together as a team- yeehaw!!! Plus- for some reason I just didn’t get as jazzed as I normally do. I felt very like, ho hum, about the size/level/complexity of the jumps and course. For me, that is a big accomplishment. 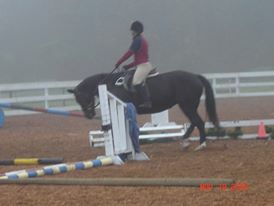 Typically, I am a ball of anxiety about the jumps and raising them and oh, everything! This time, I was very zen about it, and just felt like, oh sure, yep can do. I like that feeling. I want more of it! Go pony! Time for some flashbacks! 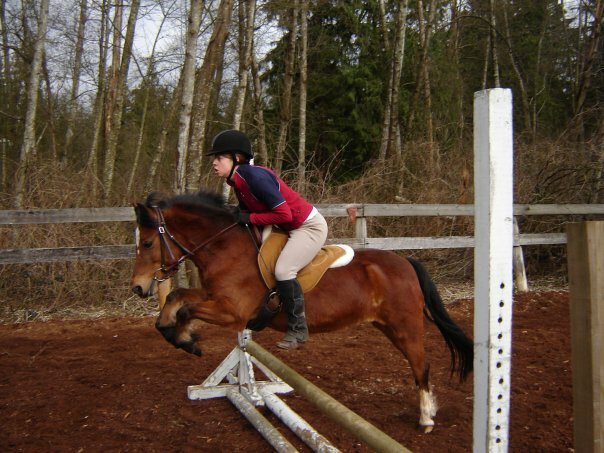 Enjoy these blasts from the past, from my time at Burnaby Horsemen’s Association. I know I usually do these on Thursdays, but I did get a bit distracted writing about my husband so today will have to do! I know I’ve mentioned before that I rode for awhile in Burnaby- Burnaby Lake to be specific. 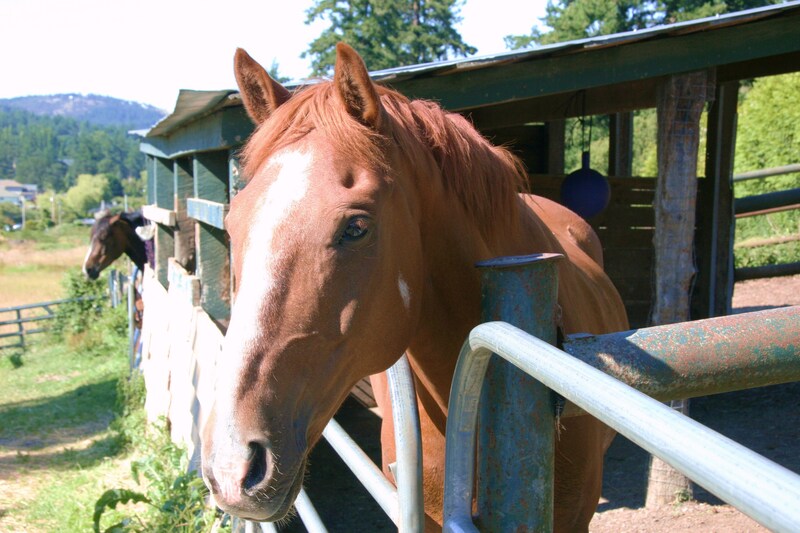 They run the Burnaby Horsemen’s Association out of the park, and it’s a fantastic place. 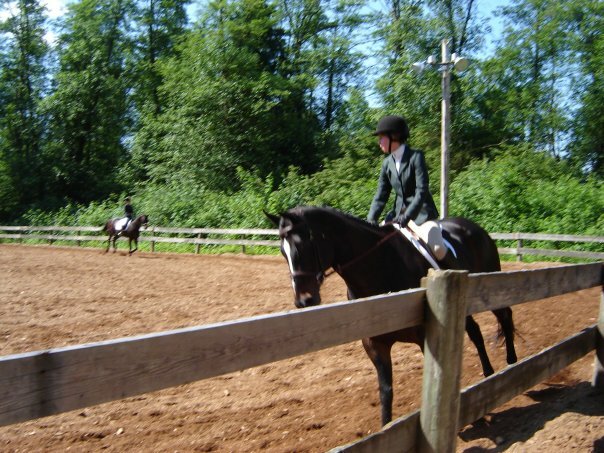 Close to the city, reasonably well-run, nice people (I stayed the heck out of any drama) and good horses. 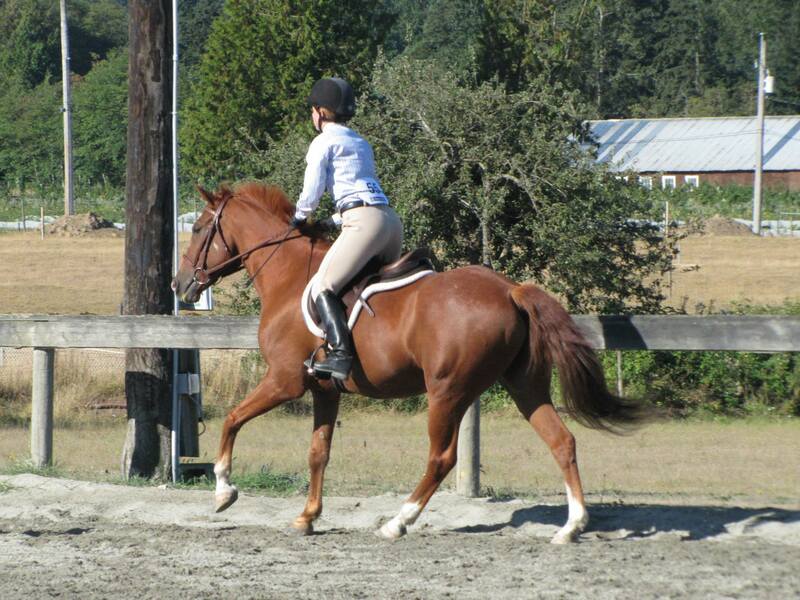 A small riding program is run there by through a small satellite program from another stable. There is a BIG indoor arena (the only downside is that you can’t keep jumps up in it, so lots of putting up/taking down) and two riding rings and trails. 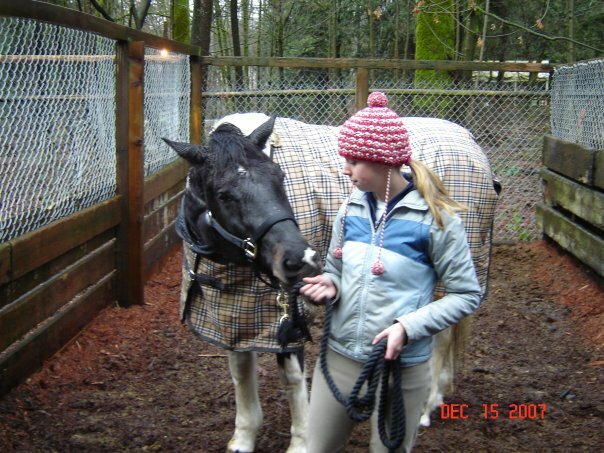 We rode a ton outdoors, even in the winter wet sloppy weather because it was pretty decent! We even did some night trails, which were pretty cool. I saw an owl one time, near the swampy area by the small bridge. 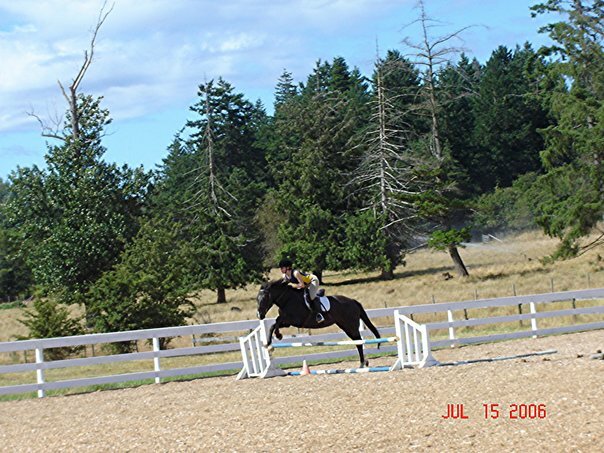 They even hosted some horse shows! I rode in one- the ‘spring fling’ and took both Ardie and Starr. They were super cheap and super fun. I think I did like 10 classes total, I was totally exhausted by the end of the day, haha but did win a hack high point for that! I really enjoyed my time riding at Burnaby, and wouldn’t hesitate to ride there again if I ended up back on the mainland (NOT planning to, by any stretch~). 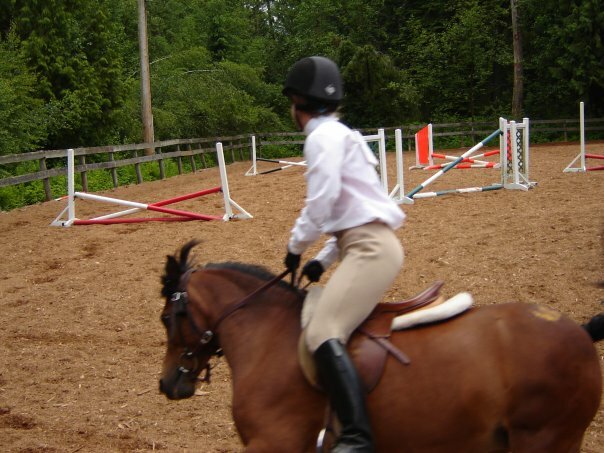 Pony jumpers with Starr- I think we even placed in this class?? It was a far sight better than the first lease situation I ended up in, during my stay in Vancouver. A kind of pathetic Standardbred mare (she was nice, but clueless…Her owner, well-meaning but afraid of the horse and kind of ditzy) at a stable pretty far out that other horse owners dubbed ‘Creepy Hollow’ hahah…Concrete flooring for the indoor arena, so it wasn’t the best situation and I got really tired of the kind of clueless horse, even more clueless owner, and showing up to ride only to see someone’s kid riding the horse that *I* had paid to lease? Yeah, NO. Oh and no real photos of that one either, haha. I dropped that lease like a hot potato, after I think 2 months. And promptly moved on to better at Burnaby! At first I leased that cute pinto, Mickey- but his owner moved him, so I moved on to Ardie pretty quickly, I think within a month?